Steve McQueen probably hated Django Unchained. Where Tarantino’s Django Unchained toyed with history’s facts to make the horrors of slavery a plot point, 12 Years a Slave is a film about a torture perpetrated on millions of black men, women and children. McQueen’s third feature isn’t interested in the audience’s comfort or catharsis, and tells a story full of vicious, hard violence and fractured souls. McQueen brings you as close as he possibly can to the horrors of antebellum slavery, not shying from bloody truths, and ultimately reminds us that far, far too often, history’s mad men and their ugly horrors go unpunished and unredressed. Superficially, Her is striking because it’s entirely plausible. From the Apple-tinted future tech to the subtle revisions to fashion to the utter solitude found in a crowd, the film has a great deal to say about the near future, and the world we’re in the process of creating. And yet, Her isn’t about the science fiction. It’s not about predicting the future or scaring us straight. 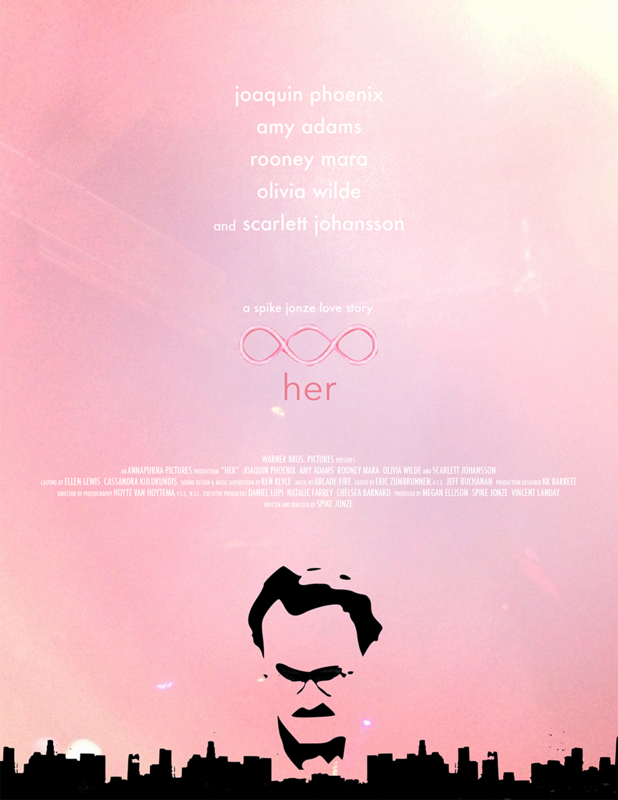 It is, simply, a love story in a different time than ours, with a different set of rules and the same expectations. Had he wanted to, Writer/Director Spike Jonze could have explored the futurist angle — there’s ample evidence that he designed his world far past what was necessary for the story he’s telling — but that’s not where his interests as a storyteller lie. They lie with people, and the connections between people, and the unexplored places to which these connections can take us. Despite my best intentions, I’ve always treated black people differently than whites. I’ve never had a close black friend, and while my racism tends to reveal itself in an obnoxiously patronizing amiability opposed to a violent bigotry or snide superiority, my presence here isn’t bringing us any closer to a post-racial America. 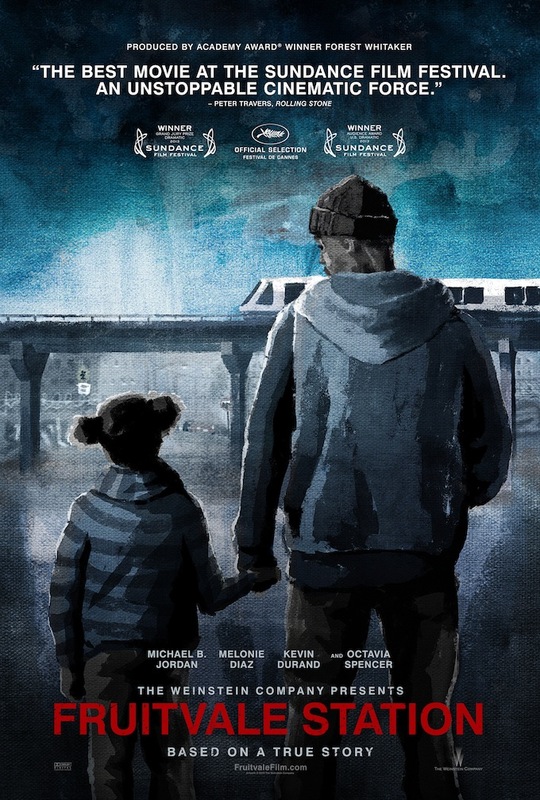 Maybe that makes me the perfect audience for Fruitvale Station, a film that endeavors only to tell the dreadfully true story of Oscar Grant in all its agonizing detail, and ends up carving a portrait of a man whose humanity is what makes his story so compellingly universal. 2012 was a year to remember. An exceptional and exceptionally diverse collection of film makers put together an array of movies that were, more often than not, pretty damn good. It’s years like this that remind a guy why he fell in love with film in the first place. And with another year comes another Wertzies. For this, my 3rd annual collection of the year’s Best Movie Stuff, I’ve added a few categories: Part One will include my picks for Best Visual Effects, and Part Three will feature a list of the year’s 10 Best Moments. Otherwise you can expect to see my favorite Screenplays, Directors, Actors & Actresses, the Most Overrated, and of course, the Best Movies of the Year*. Singin’ in the Rain is not a complicated film. Like a circus or a carnival or a baby’s birthday, it bathes you in its technicolor glow with the sole purpose of bringing a smile to your face. Gene Kelly (a remarkably spry 40-year-old Gene Kelly, at that) plays Don Lockwood, a silent film A-lister unsettled in his success and longing for love. He bounces and grins and sings his heart out, enchantingly dedicated to creating a world where three friends doing an animated musical number at one in the morning is perfectly ordinary. 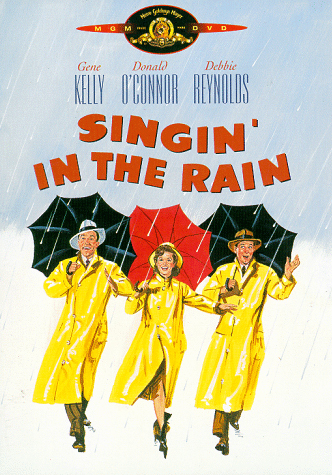 And the result is astounding, as Singin’ in the Rain remains, all these years later, a paradigm of pure, effusive joy. 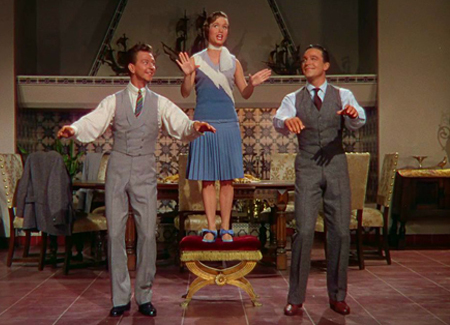 The trio of Kelly and co-stars Donald O’Connor and Debbie Reynolds compliment each other beautifully, with each player’s standout talent given its moment in the spotlight, and each performance as effortlessly executed as it is technically incredible. O’Connor is Cosmo Brown, Lockwood’s cartoon of a best friend and fellow Hollywoodite, and a 19-year-old Debbie Reynolds plays Kathy, the doll-faced innocent whose talent and general abundance of personality (relative to 1952) ensorcel the romantic Don Lockwood. Don and Kathy harmonize their way to a happy ending, and Singin’ in the Rain certainly charms its way into your heart, but the biggest takeaway for a modern audience has to be the joy of watching such deftly executed schmaltz. Like a few other Hollywood relics, this is a high point of an entirely extinct era of film, and remains a thoroughly delightful and utterly timeless flick. People don’t tend to like it much when you wear your heart on your sleeve. This isn’t universally true, but seems to be a relatively persistent trend in modern culture. 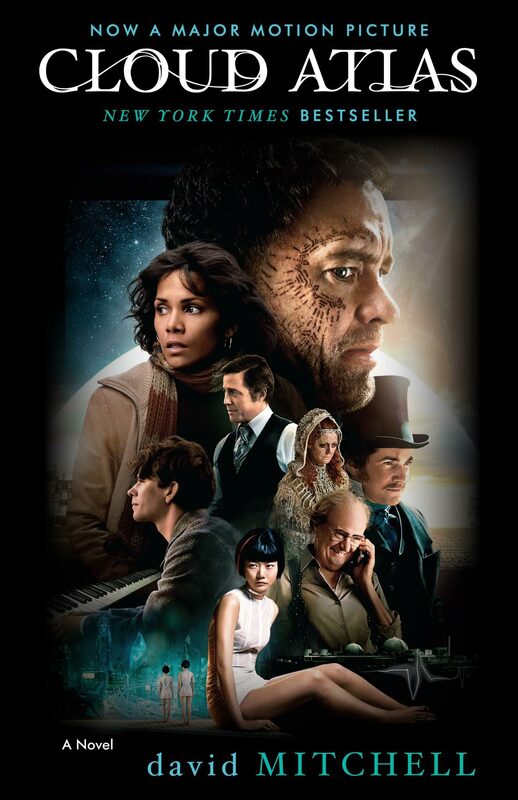 Pessimism is easier than optimism, and there’s something admittedly thrilling about a blasé cynic, which for me explains the tepid response to Cloud Atlas, an epic adaptation with three directors and a hearty interest in the workings of the heart. That’s not to say there aren’t valid criticisms to be made about Cloud Atlas, or that the general ambivalence around the film is coming exclusively from the heartless. But there’s a common refrain in these assessments—“It just didn’t work for me.”—that reveals a structural weakness: intellectual critiques of sentiment are inherently weak, because sentiment is not an intellectual mechanism. Whether or not you respond to it isn’t a a matter of what you think, but what you truly feel, and post-Cloud Atlas, I felt a great deal.